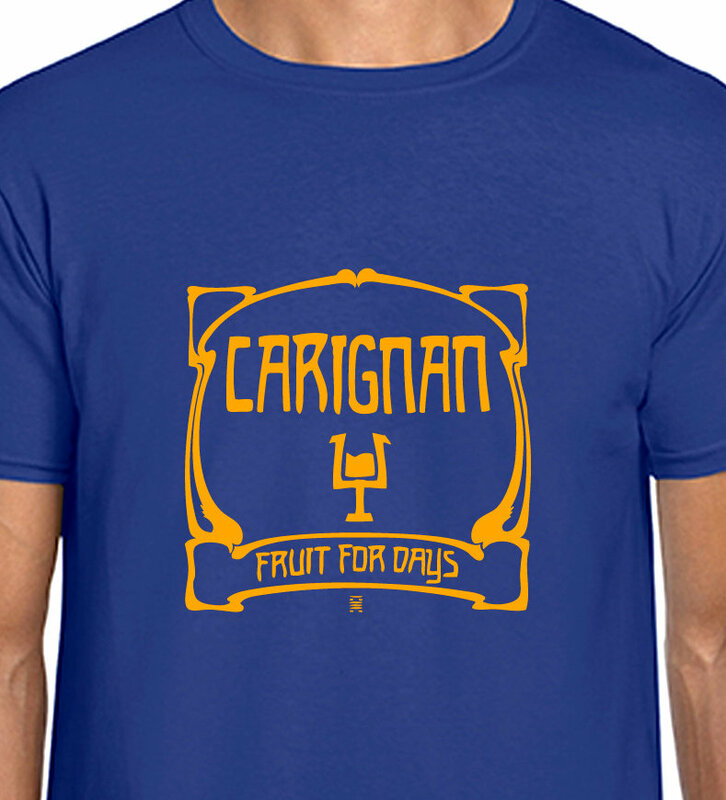 Carignan red wine t-shirt - Fruit for Days!! Metro Blue quality cotton t-shirt with gold yellow flock vinyl unique design: Carignan - Catalanes Can! Homage to the dusty, peppery, oh so fruity king of Catalan wine, especially on old vines, and the ultimate Krautrock throbbers, Can, and their debatable highpoint Future days. Carignan - Fruit for days!